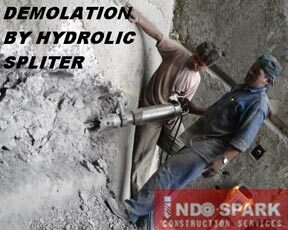 Hydraulic Splitter is one of the safest and most efficient methods of mass concrete, Brick work or natural stone. 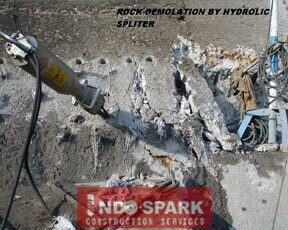 Hydraulic Splitter are placed in pre-drilled holes and expanded to induce controlled Cracking of the material, thus reducing it to manageable sections for removal. 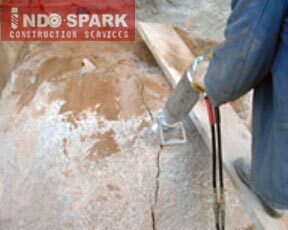 What's more the equipment can be used in confined spaces without risk. 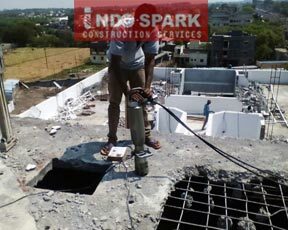 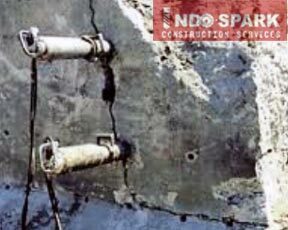 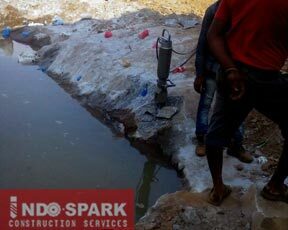 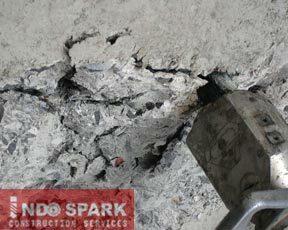 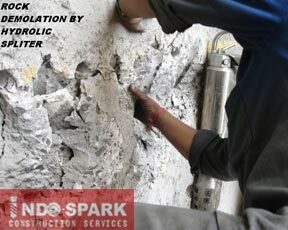 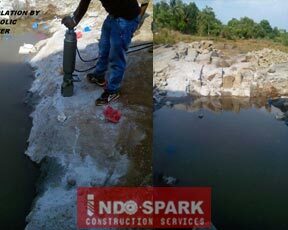 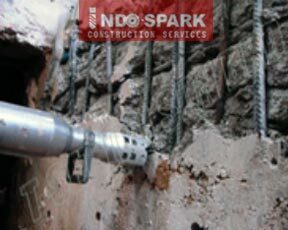 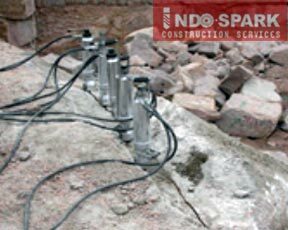 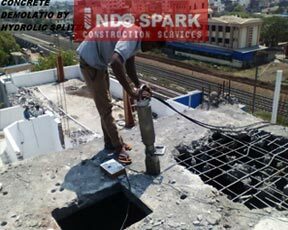 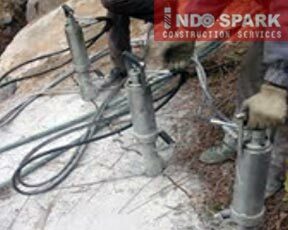 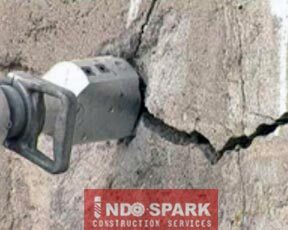 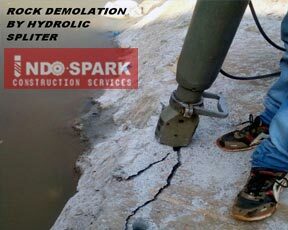 Indeed Indo Spark Construction Services have used this technology to remove heavily Reinforced Concrete structure such as Dam, Bridge and nuclear power stations where precise controlled System of removal was required.